What does the Chimney Sheep do? 1/ how much heat is lost up chimneys and 2/ how many open chimneys there are in the UK, I thought it was time to try and do something about it. I knew that sheep wool made a good insulator and so the Chimney Sheep was born. It was a bit daunting as I had never developed a product or brought it to market before, however with a bit of help it was launched and sold as an innovative chimney draught excluder. I was delighted when the first 1,000 were sold; this was a real milestone. At the time of writing we’ve now sold around 70,000 units. What I hadn’t realised however, was that not everyone was purchasing Chimney Sheeps to use as a chimney draught excluder. If the Chimney Sheep insulated the chimney and drastically cut out draughts and reduced household heat loss by 5% and shaved £50 off the heating bill then these were all secondary bonuses to the primary reason for buying a Chimney Sheep. It seems that cats have a fascination with open chimneys. A question we are asked on a regular basis is “will it stop my cat from climbing up the chimney?” Apparently curious felines can’t help but investigate. Some just enjoy exploring and climbing – and come out covered in soot, distributing this around the house, with obvious health implications to themselves when they try to lick it off. Apart from being sticky and filthy and difficult to clean, soot can contain creosote and other nasties. 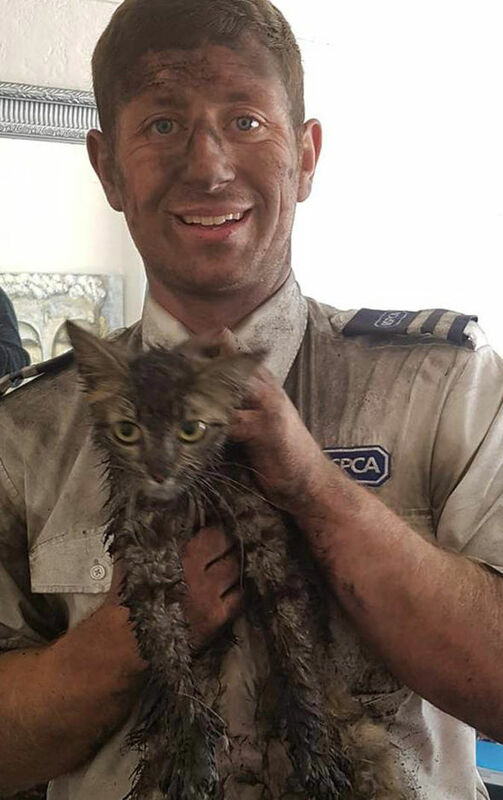 There are stories of cats being stuck in chimneys, and needing to be extracted by the RSPCA. In other instances the fire brigade have had to come to the rescue by knocking a hole in the chimney breast to extract the cat. Some cats make it all the way to the roof, then find themselves stuck at an irretrievable height – resulting in more calls to the rescue services. All in all, cats up chimneys are to be avoided. 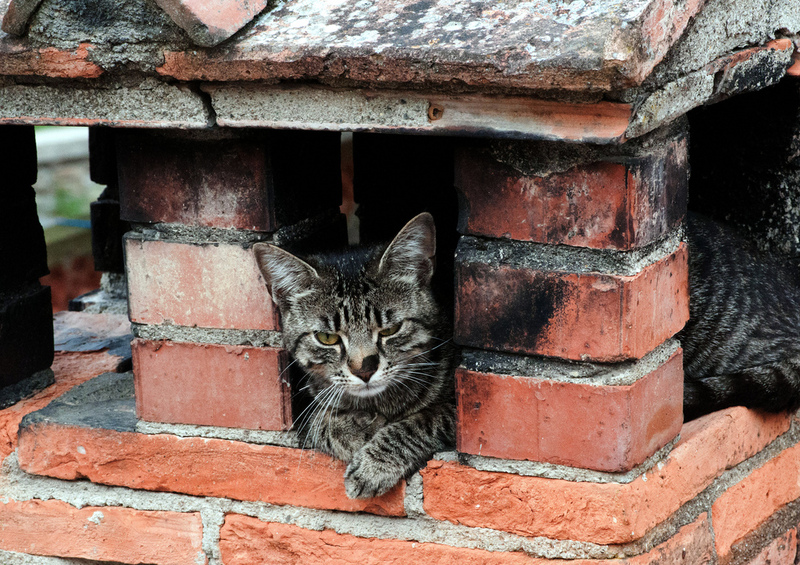 Why do cats like chimneys? So why do they do it? Any cat owner will tell you how they have a propensity for tucking into cardboard boxes and other small confined spaces. According to the experts, it is instinctive behaviour to seek out confined spaces to hide in, both to avoid being ambushed from the rear and in order to surreptitiously observe prey. Domestic cats seem to enjoy boxes as a vantage point from which to observe the world going by. So chimneys must seem like an irresistible confined space to investigate. The scent of fresh air from the top will make it seem like a tunnel to the outdoors, and being natural born climbers, it begs the question why don’t all cats like to climb chimneys? So back to the question, will a Chimney Sheep stop cats from climbing chimneys? The Chimney Sheep lodges firmly in the throat of the chimney, but the weight of a full grown adult cat would be sufficient to dislodge it if it really wanted to. However we find that once in place, the cat stops being interested in the chimney. The chimney no longer looks like a beckoning void to explore, and with the passage of cold air blocked off it doesn’t look like a route through to the great outdoors anymore. So while a ferociously determined cat (the seagull hunting types spring to mind) would be able to pull it out and continue up the chimney, for the majority of feline friends the Chimney Sheep will do the job. It will also help make your home nice and cosy, which your cat will thank you for.